International concerns for the loss of intangible culture due to the impact of globalization prompted UNESCO’s programme of Masterpieces of the Oral and Intangible Heritage of Humanity in 2001. 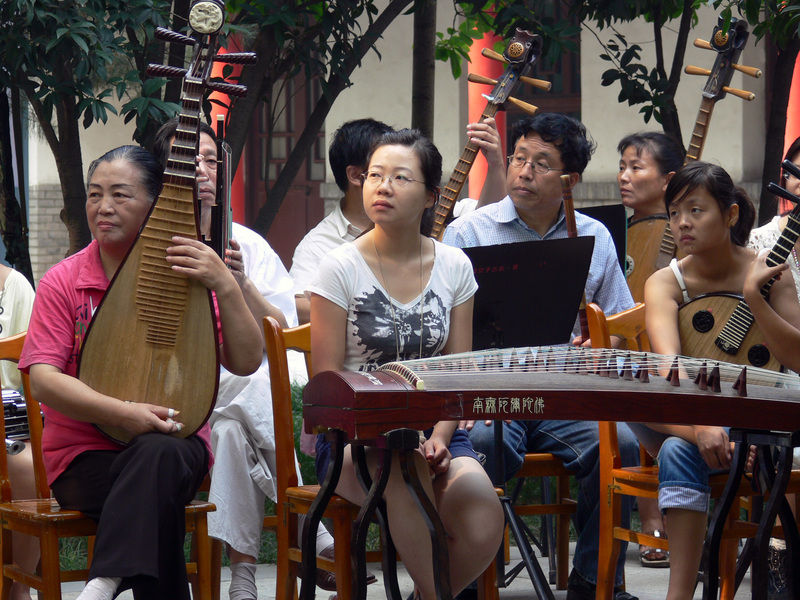 China’s kunqu opera and guqin seven-string zither were among the first art forms to be inscribed on this list. This programme paved the way for the 2003 UNESCO Convention for the Safeguarding of Intangible Cultural Heritage. A year after the adoption of the 2003 Convention, China became one of the first few countries to ratify the Convention. Since then, the Chinese government has spared no effort to safeguard its intangible cultural heritage (ICH), constituting a law, countless strategies and myriad agencies under the auspices of the Ministry of Culture to put its policies into action, resulting in a national ICH fever. Internationally, China now leads with 30 items on the UNESCO Representative List of the Intangible Cultural Heritage of Humanity. So what is behind the Chinese government’s drive to safeguard its culture? What role does culture play in its economic prosperity and international position? What impact does it have on culture and its community? It is not possible to answer these questions in this brief writing, an overview here outlines themes and issues that can be investigated further. The UNESCO Convention for the Safeguarding of the Intangible Cultural Heritage adopted in 2003 is an international effort to safeguard the world’s living cultural heritage from rapid cultural loss due to the effects of globalization. This marks an attempt by the international body to broaden the concept of cultural heritage to encompass its intangible aspects. China’s success in the proclamation of the Masterpieces and its ratification of the Convention gave impetus to the Chinese government’s full-scale efforts in safeguarding its ICH. Drafting of The Preservation Programme of the National and Folk Culture of China had begun by 1998; following the submission of the proposal to the National People’s Congress in 2002, safeguarding efforts began in earnest. By the time China became elected at the UNESCO General Assembly as part of the 18-member Intergovernmental Committee for the Safeguarding of ICH in 2006, China’s commitment to this began to really gather momentum. A national ICH Protection Centre under the Ministry of Culture was established to oversee the country’s work on ICH safeguarding. International and national symposia and conferences on this topic ensued; the Chinese government instituted the second Saturday of June as a national Cultural Heritage Day, and a Law on Safeguarding Intangible Cultural Heritage was drafted and enacted on June 1, 2011. With these mechanisms in place, the Chinese government set out to implement the preservation programme in three stages: from 2004 to 2008, pilot schemes and inventory to salvage disappearing cultural forms formed the first priority; 2009 to 2013 would comprise comprehensive and focused protection of listed ICH; the period from 2015 to 2020 would focus on improving and strengthening the safeguarding system. The aims are to “strengthen the work of protecting national and folk culture, inherit and promulgate its magnificent cultural tradition, to build a progressive culture with Chinese socialist character”. This statement is a harbinger of China’s intentions to shape its ICH safeguarding albeit under the rubric of the 2003 Convention. Nationwide inventory-making has underpinned the establishment of the national list of ICH items. At the same time, the nomination of Representative Cultural Transmitters fulfills the Convention brief of recognizing that indigenous communities, groups and individuals play an important role in the production, safeguarding, maintenance and re-creation of ICH. My research shows the wide-scale participation of cultural workers and communities. Under the centrally-guided ICH system, it is not the communities that have a say on what or who gets listed and safeguarded. Cultural traditions and practitioners sidelined by the system face either extinction or resilience in the face of bureaucratic management. I have come across examples of the latter. One of the comprehensive strategies for the protection of ICH included digitization and use of web-based, multimedia resources to archive, present and disseminate ICH data. This was introduced as a key initiative in the government’s Cultural Development National Action Plan. Another experimental scheme saw the implementation of ‘Eco-Cultural Protection Areas’. First established as a pilot in the Minnan cultural region of Fujian province in 2007, there are now 14 other Eco-Cultural Protection Areas across the country. Examining official articulations of the concept and how it was implemented in Fujian, I see that the programme attempts to integrate intangible heritage with the tangible and the natural environment in order to create a ‘three-dimensional integrated ecosystem. What I saw in Minnan was the building of a number of new museums, theatres, government-designated areas for performances of traditional arts and the establishment of commercial cultural enterprises, this last largely to boost cultural tourism. For the Chinese government, cultural sovereignty ensures the perpetuation of its ideology of a united front and bond between its ethnic nationals. But more than that, the expansion of cultural industry is a strategy for the country’s overarching economic and social development, and as it strives to become a global player, its traditional culture and artistic expressions becomes a useful tool to enhance the nation’s soft power. Dr. Hwee-San Tan is a Research Associate at SOAS University of London. Image Credit: CC by Ray Morris/Flickr. 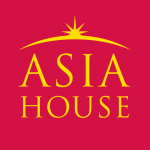 ASEAN: The Way of the Past or the Way of the Future?